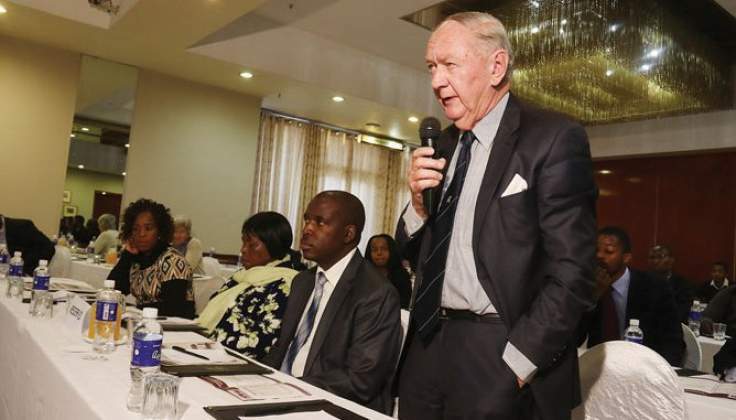 Outgoing MDC-T Bulawayo South National Assembly member Mr Eddie Cross has resigned from the opposition party and quit politics. He said his resignation had nothing to do with the ongoing political situation in the country. His wife was diagnosed with an ailment he was not at liberty to state last year and he had decided to dedicate all his time to taking care of her. "I am a retired Member of Parliament and I decided to take a break from politics. This decision has nothing to do with what is happening politically, instead I took the break so that I can take care of my wife who is not feeling well," he said. Mr Cross started his political career in 1965, as the general-secretary of the Centre Party, which opposed the Rhodesian minority rule led by Ian Smith. He joined the Movement for Democratic Change in 1999 and was made secretary for economics in 2000. Mr Cross served as the MP for Bulawayo South from 2008 to 2018. In February 2009, the late MDC-T leader Morgan Tsvangirai designated Mr Cross for the position of Minister of State Enterprises and Parastatals as part of the inclusive Government, but he did not take up the post. Mr Cross has been at loggerheads with the MDC-Alliance for predicting a resounding victory for President Mnangagwa in the July 30 elections. He also declared the harmonised elections as free, fair and credible, saying they were the most democratic since independence in 1980. He also called MDC-Alliance presidential candidate Mr Nelson Chamisa a political novice who needed more time to mature before dreaming of the high office. A former top advisor to Tsvangirai, Mr Cross was recently quoted as saying Mr Chamisa was wasting time by challenging presidential election results as they were a true reflection of the people's will. This led to the MDC-Alliance leadership demanding his immediate expulsion from the party for "disregarding" party decisions and "undermining" it.